Michael Sarro, a 14- year old golfer from Laguna Hills has made it to the Toyota Tour Cup Series. 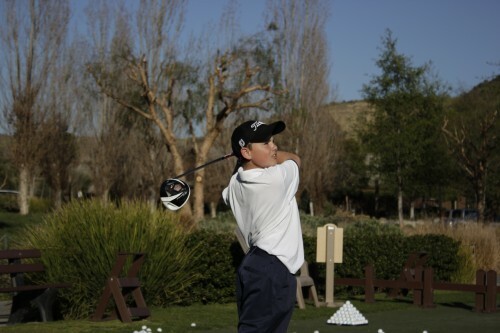 SOUTHERN CA, Calif. - Sept. 2, 2015 - PRLog -- Laguna Hills, CA – September 2, 2015: Michael Sarro – a young and exciting 14-year old Junior Golfer from Laguna Hills – has qualified for the Toyota Tour Cup Series. The qualification is reward for the consistent brilliance Sarro displayed in 2015 – he won 9 tournaments this year! Sarro had a fantastic summer season on the Southern California Junior PGA tour. He emerged winner at the San Clemente Junior Golf Championship and Palos Verdes Junior Golf Championship, among other high-profile tournaments. He also featured in 15 top-3 finishes in 32 starts. Sarro is ranked #2 in the 12-14 age division. A consistent performer, Sarro's growth has been phenomenal. He was introduced to golf at the tender age of 3. His performances have attracted the attention of keen observers of the game. They consider Sarro as a player to watch out for in the near future. Sarro has been coached by Michael Block and Seth Glasco. Block is a well-known and reputed teaching pro from the Arroyo Trabuco Golf Club. Block usually doesn't work with Junior Golfers – but he made an exception for Sarro. Block recognized Sarro as a naturally gifted golfer and worked with him to tap his potential. He foresees a bright future for Sarro in the world of golf. Glasco is the Director of Instruction at Monarch Beach Golf Club, Dana Point, CA. He has worked extensively to hone Sarro’s skills. Just like Block, Glasco has immense hope in Sarro’s capabilities as a golfer of the future. Sarro is a member of Mission Viejo Country Club, CA. He has participated in several nationally ranked tournaments, including Junior World, Junior Olympics and Junior Amateur. The Toyota Tour Cup Series offers Sarro the opportunity to rub shoulders with some of the best juniors in the 12-18 age group. The Toyota Tour Cup Series is an "Invitation Only" tournament aimed at the best Junior Golfers in Southern California.